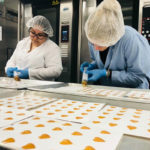 Our goal for this article is for your dispensary team to learn why tinctures are different than other cannabis products, what makes them a more attractive option for some people, and how to get the customer to open up about their needs so your team can best advise on tincture products. Selling cannabis tinctures will be easy once your staff has an opportunity to learn about the product. Armed with knowledge, your staff will know when it’s appropriate and how to properly suggest a cannabis tincture to your customers. The cannabis tincture should actually sell itself once the cannabis consultant explains it’s versatile nature, precise dosing, odorless, and discrete delivery qualities. Successfully selling cannabis tinctures to dispensary customers depends on staff learning about the customer and their needs. When a customer explains that they don’t smoke but they want to try cannabis for their arthritis, that’s a perfect segway into the cannabis tincture as a possible treatment. Or a customer says they’ve never tried cannabis before and they are worried about taking “too much”. This would also be a great opportunity to promote a cannabis tincture because tinctures make it very easy to precisely measure dosage with the clearly marked dropper. A Tincture? How do you use it? When using a tincture sublingually under the tongue, holding the tincture there for 30-60 seconds is typically enough time for the active ingredients to saturate the glands under the tongue where absorption into the blood stream takes place. The effects are typically felt in just 10-15 minutes. If used topically on the skin, Dr. Raw tinctures have a unique ability to penetrate the skin to reach aches and pains due to the narrow molecular structure of the organic, coconut-derived MCT oil used as a carrier oil. Smaller molecules means more absorption into the skin and our MCT oil is fantastic for topical applications. One of our favorite applications you might also recommend to customers considering a cannabis tincture, is that it may be added to smoothies or coffee in the morning to get your day started off right. Dr. Raw tinctures use a proprietary, ultra-distilled cannabis oil that is flavorless and odorless. The cannabis oils used to make Dr. Raw tinctures have been distilled to remove plant fats, waxes, lipids and even the terpenes, which are the undesirable tastes. Dr. Raw tinctures are nearly clear, flavorless and odorless. Customers love to know that they don’t have to taste that funky, skunky cannabis taste in a Dr. Raw tincture like many other tinctures available today. Dr. Raw tinctures are made with coconut derived organic MCT oil so the only taste in our tinctures is an enjoyable hint of coconut. Smoking cannabis is like a roller coaster that has a rapid onset with instant effects and then tapers off quickly – typically only 2 to 3 hours. A tincture is more like a sunset that has a slow and steady calming effect. This allows the consumer to experience the effects over a longer, sustained period of time – typically 4-6 hours or longer if the consumer is sleeping. 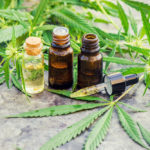 One of the best benefits of tinctures to point out to customers considering a cannabis tincture is that tinctures also have a rapid onset time if used sublingually – typically within 15 minutes. The biggest complaint we hear from cannabis consumers is they don’t like the slow onset time of edible products, so they choose to smoke or vape instead. A tincture is a fantastic solution to that problem because it can be used sublingually to achieve a rapid onset time for the consumer. As a general rule of thumb it is best to advise customers to start with the lowest possible dose, around 3-5 mg, and increase the dose slowly . Common quips to get a chuckle out of your customers are ‘start low and go slow’ or ‘you can always take more, but you can never take less’. There is actually a scientific explanation for these funny sayings and the concept is called ‘titration’. Titration or titrated dosing is the concept of starting with the smallest possible dose and slowly increasing the dosage until the desired effect is achieved. Something interesting to know about cannabis is that, for certain conditions, too large of a dose can be ineffective and a smaller dose may provide more benefit. Some cannabis research on epilepsy is suggesting that doses too large may overshoot the optimal dose, and may be ineffective at treating seizures in patients. In certain cases, smaller doses are more effective, hence the reason to always recommend titrated dosing to your customers. A 3-5mg dose is a great place to start, keeping in mind a 30-50mg dose would be considered a high dose. It is not recommended to consume more than 50mg at one time if the customer is inexperienced with cannabis consumption. In a lot of scenarios, customers are interested in tinctures, but can’t decide which formula they want to try. Solution – Dr. 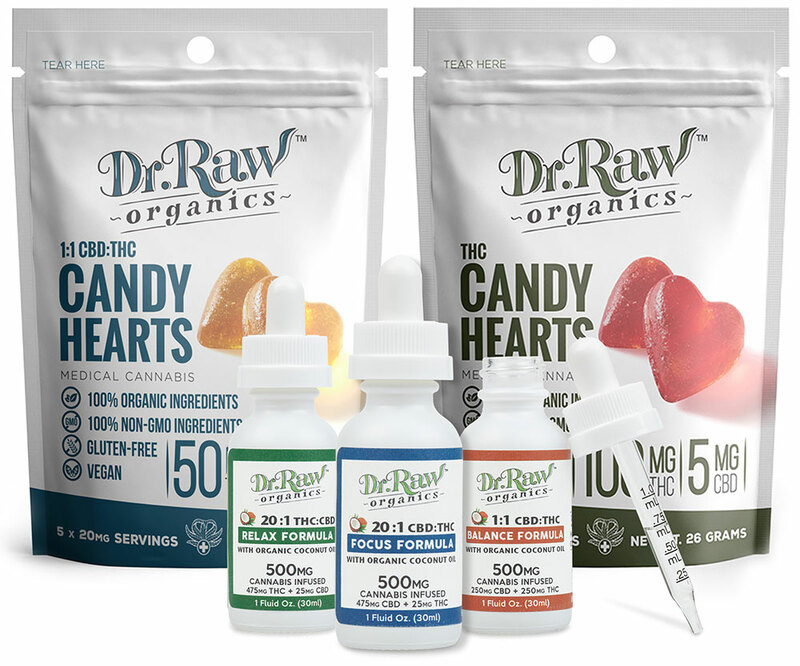 Raw has small (15ml) size tinctures in each formula. We often recommend to customers to try a small Focus Formula tincture (high CBD) and a small Relax Formula tincture (high THC) and blend your own formulas or ratios at home to experiment with multiple ratios. You might recommend to the customer to try mixing Dr. Raw tinctures to create 1:1 ratios, 4:1 ratios or even 8:1 ratios. There are many ways to incorporate cannabis tinctures into your consultations with customers once your team is confident with their product knowledge. If you have any questions about our products, send us an email. If you are a dispensary interested in placing your first order with Dr. Raw, Register to become a Dispensary Partner today.